Today we will discuss about what is suspension and working of suspension system. We will also learn about types of suspension system. When we talk about driving of any vehicle, comfort of both driver and passengers is very important thing. Suspension do this work. The main work of suspension system is to isolate the vehicle and the passenger to the road shock and vibration, so they will enjoy a comfortable ride. Any system used in vehicle to reduce road shocks and vibration known as suspension system. Springs, shock absorber torsion bar etc. 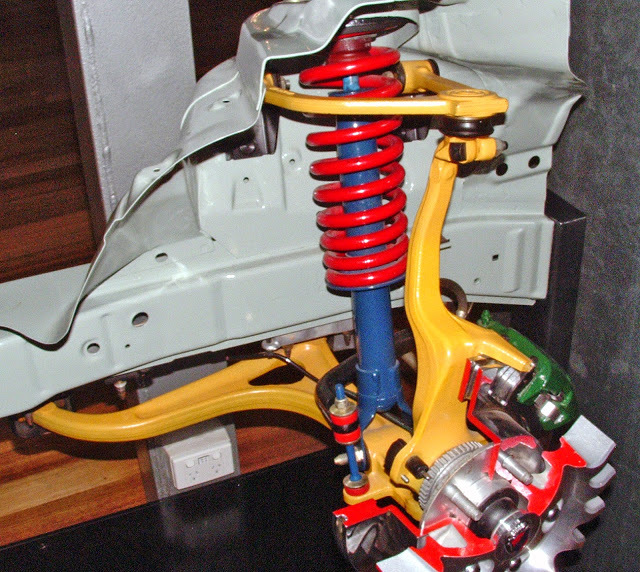 are components of suspension system. Suspension system also provide the vehicle stability in running condition. 1. First to reduce the shocks generated by the irregularity of roads. 2. The other one is to reduce vibration of generated by the running condition of engine, gear box etc. There are many irregularities on road. Even the newly paved highway has also has many irregularity which are consider by the wheels of the car. It separates the wheels to the body. If the road are perfectly flat even than the vibration of engine and other running parts cannot be neglected. If there is no suspension system these shocks and vibration transmitted by the rigid body of vehicle which may damage both vehicle body and the passenger. So the suspension system is most important in a vehicle. Suspension system consist two basic component spring and shock absorber. It works on the basic principle of spring energy. When a vehicle come in contact with road bump it extract a force on wheel. On sudden application of load the spring compressed suddenly and stores this energy without transmit this load on body of vehicle. After this the spring tends to expand and compress continuously but the shock absorber act as the damping element which convert this energy into heat energy and provide resistance between continuous oscillations of spring. So the shock generated by the road bump disappeared without transmitting to the body which provide comfort riding condition. In this type of suspension system both wheels of same axle are rigidly connected to the same suspension system. The force acting on one wheel affected the motion of another wheel. The main advantage of this type of suspension system to weight carrying capacity of it is more than other types of suspension system. So this type of suspension is mostly used in heavy duty vehicles like truck, bus and in commercial vehicle. 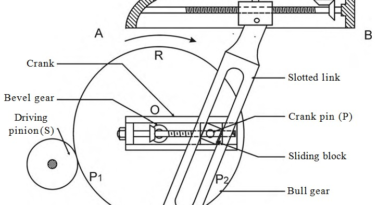 In this type of suspension system both wheels of same axle connected with different suspension system so the force acting on one wheel will not affect the motion of other wheel. This type of suspension system provides more comfort compare to dependent suspension system. This provide better handling and riding comfort so it is used in the cars and Volvo bus etc. In this article I have discussed about What is Suspension and Types of Suspension System. We have also learnt about Working of Suspension System. If you have any query regarding this article, put it in comment box. If you like this article, don’t forget to share it. Subscribe our website for more informative articles. Thanks for reading it. ← How Rocket Engines Work? I have a question, how does supension system minimizes or reduce the vibration created by engine and gear box ?? Both engine and gearbox have rotating masses which are in completely balanced form so they create much less vibration. Engine have some reciprocating components which are in partial balanced form and the unbalance part creates tractive force, swaying couple and hammer blow. The vibrations create by these forces minimize by shock absorbed and suspension springs.